KATHMANDU, Sep 5: Prime Minister KP Oli has clarified that the Bay of Bengal Initiative for Multi-Sectoral Technical and Economic Cooperation (BIMSTEC) Kathmandu summit has not agreed to any joint military exercise between the member states. Briefing the House of Representatives about the fourth BIMSTEC summit held last week, Oli assured parliament that Nepal would not be a part of any military pact with other countries, other than giving continuity of joint military exercises and training with certain countries. “BIMSTEC is not going to be transformed into any military pact. Nepal doesn't believe in military pacts and will not enter into such activities,” said Prime Minister Oli, responding to the concerns expressed by opposition party lawmakers. Referring to the declaration of the summit, main opposition Nepali Congress (NC) lawmakers had questioned the motive of any military exercise among the BIMSTEC countries. In response, Oli claimed that the declaration hasn't mentioned any military exercise other than a commitment to taking appropriate measures to combat terrorism. During the summit, Indian Prime Minister Narendra Modi had offered to host a military conference in India , but this was not mentioned in the summit declaration. Responding to lawmakers' queries about the arrival of Indian security personnel here during Indian Prime Minister Modi's participation in the summit, Oli said it is existing practice to take along one's own security personnel during foreign visits by top leaders. “The Indian army wasn't here on any invasion; we also take our army personnel along during our foreign visits as per our capacity, and that also could have aroused some sensitivities,” he claimed. Lawmakers had accused the government of not putting its trust in the internationally renowned Nepali security forces and allowing in Indian security personnel instead for Modi's security. Prime Minister Oli also informed that during his bilateral meeting with Modi, he discussed the reactivation of the South Asian Association for Regional Cooperation (SAARC). “BIMSTEC is not a just recently established forum, it has been around for a long time and it cannot replace SAARC, but we can derive benefit from both forums simultaneously,” said Oli. Prime Minister Oli also claimed that the effectiveness of BIMSTEC could contribute to the development and prosperity of Nepal. He was of the view that the successful conclusion of the BIMSTEC summit has encouraged the country, enhanced its international standing and showcased Nepal's diplomatic prowess. 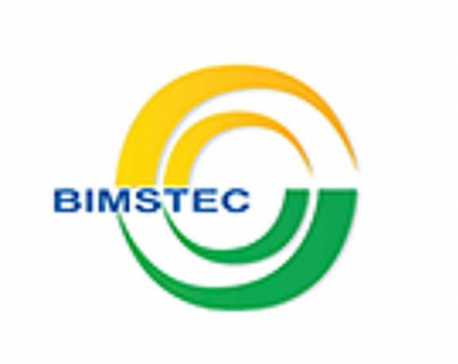 Lawmakers including Sanjay Gautam and Bharat Shah had accused the government of failing to arrange for a BIMSTEC retreat at Gokarna due to poor road conditions. They also criticized it for not using the City Hall auditorium for the summit and for failing to provide enough security. In response, Oli claimed that the retreat venue was changed not because of the bad road but due to rain. He also maintained that the City Hall auditorium was not appropriate for the summit conference.